A – flexible to fit your needs and business. B – engaging to inspire your people. It’s about working together in respectful ways just as you would want your people to do with your customers or clients. Taking ownership of problems and looking for solutions. Working as a high performing team. How to avoid dropping the ball. Serving and working with internal as well as external customers. Asking the right questions and using proactive listening. Communicating effectively to achieve the right outcome. 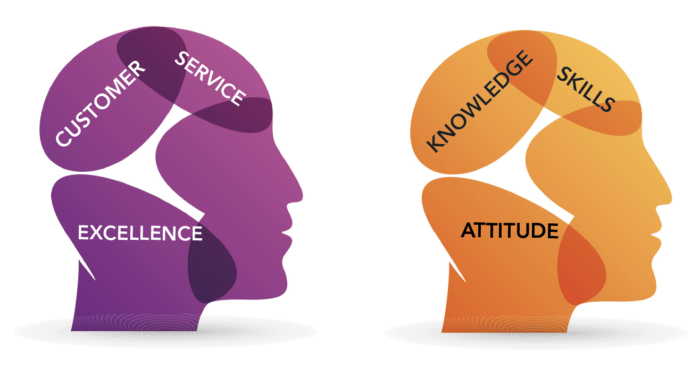 Demonstrating the meaning of customer service excellence in your business or organisation. Working for your customers and not against your business. Managing stress, fear or frustration. What makes people ‘react’ in certain ways. How to manage stress, deal with difficult people and situations. How to make better decisions when under pressure. Why they as individuals and teams are your brand. How to make better decisions, stop bad situation from escalating and reduce mistakes. How to manage a controlling ‘reaction system’ think ‘customer service’ and take ownership. What we don’t do is as important as what we do. This includes no high-pressure training or boring on-screen presentations (you know the ones we mean). It’s about working together in respectful ways just as you would want your people to do with your customers. PSL customer service excellence training is one of the most effective ways in which you can invest in your people and drive the growth of your business. Getting training that truly fits your needs is exactly what your team will receive. You can call or email us, we are here to help.